I Couldn't Be Happier! - Dr. Holden is a very talented physician. 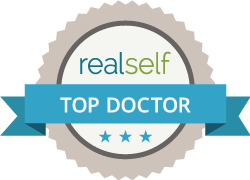 Not only is he exceptional at facial plastic surgery, he is kind, compassionate and caring. I am extremely pleased with my eye lift and face lift, I couldn't be happier. He makes you feel comfortable every step of the way explaining the surgery and recovery in detail. He has the best bed-side manner of any physician I've encountered! Dr. Paul Holden is a Very Gifted Plastic Surgeon. - Dr. Paul Holden is a fantastic plastic surgeon. I would highly recommend that anyone needing facial plastic surgery use him. My results were outstanding. Arizona is very fortunate to have him as a resource in our area. Dr. Paul Holden and Dr. Ryan Tsujimura, have many years of experience and training to deliver extraordinary outcomes and service. Our medical team at Scottsdale Plastic Surgeons is highly qualified to provide pre and post-operative care. You can expect to receive the natural, attractive look you want and deserve. We want you to leave your initial, private consultation with all the information and options available to you to make the choice as easy as possible. Please do not hesitate to bring all your questions and concerns to Dr. Holden or Dr. Tsujimura. Their commitment and skill is distinguished by their work and is reiterated in their patients' lauding reviews about their beautiful results and compassionate care. PROCEDURES THAT REJUVENATE FOR A SOFTER, HEALTHY FACIAL APPEARANCE. PROCEDURES THAT WILL LIFT, ENHANCE, AND BEAUTIFY YOUR BUST LINE. PROCEDURES TO IMPROVE SIZE, SHAPE AND SYMMETRY OF THE NOSE. PROCEDURES TO ADDRESS THE BODY WITH SOPHISTICATED SCULPTING TECHNIQUES. PROCEDURES TO IMPROVE ON PREVIOUS SURGERY. PROCEDURES THAT ENHANCE THE BODY OR ELIMINATE THE SIGNS OF AGING FOR MEN. Dr. Holden and Dr. Tsujimura blend exceptional surgeon skill with an artistic eye to produce stunning outcomes for their patients. Dr. Tsujimura is well-renowned for his tummy tuck, breast augmentation, body lift and liposuction surgery. Dr. Holden specializes in rhinoplasty, revising previous rhinoplasty surgery, and face surgery- face lift, neck lift and eyelid surgery. Look through Dr. Holden and Dr. Tsujimura’s before and after galleries to see gorgeous transformations through their work. Explore our safe, gentle, nonsurgical skin treatments performed by our trained aesthetic technicians and board-certified plastic surgeons. Discover how hair transplant surgery (a transfer of your own healthy hair follicles) with Dr. Holden can reverse baldness in men. Check our website often for updated special pricing and offers on our surgeries and treatments at Scottsdale Plastic Surgeons. Scottsdale, AZ has so many options in hotels, food, and attractions for our out-of-town patients. See our recommendations. Speed up your check-in process by printing our new patient forms and filling them out before your first appointment. We aim to give our patients at our North Scottsdale, AZ office an exceptional experience while delivering exquisite plastic surgery results. We provide private consultations, state-of-the-art procedure rooms and surgical suite, and knowledgeable nurses and medical staff.